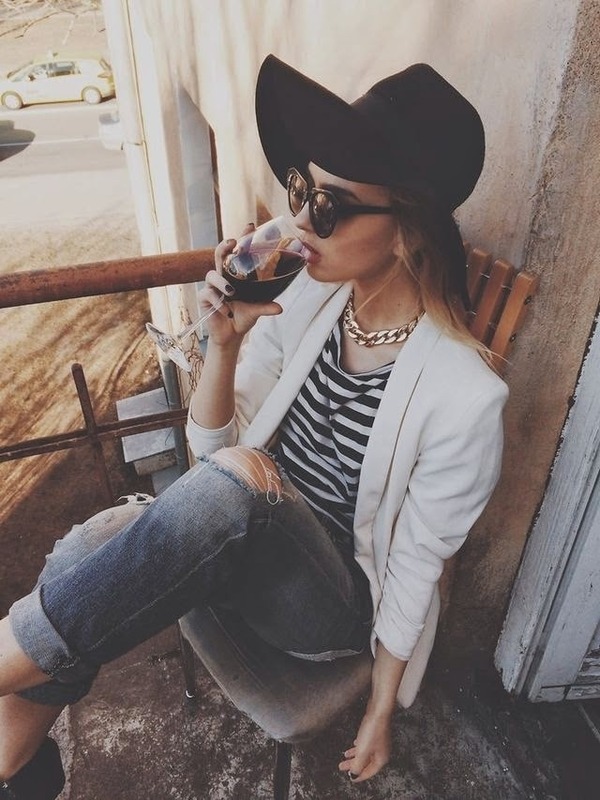 Ripped jeans are timeless. I would know, the ones I'm wearing in this post were gifted to me in 2006!!! I believe on most days I do go for comfort and no matter what this pair of slouchy ripped denim has never failed me. In her Spring 2014 collection designer Rachel Zoe styled her ripped boyfriend jeans with a monochrome vest and blazer combo with zebra stripe pumps. This really is as simple as it gets! The plunged neckline and exposed midriff adds femininity to the look with the complementary blazer as a finishing touch of class. Kylie Jenner paired her Topshop Moto Kevin Ripped Jeans with a Yeezus graphic tee and Chanel Chelsea Boots for a super casual look. Rih Rih also keeps it casual in her Acne Generic Girl Ripped Jeans, pairing it with a Raif Adelberg hooded sweatshirt and Christian Louboutin So Kate Pumps. 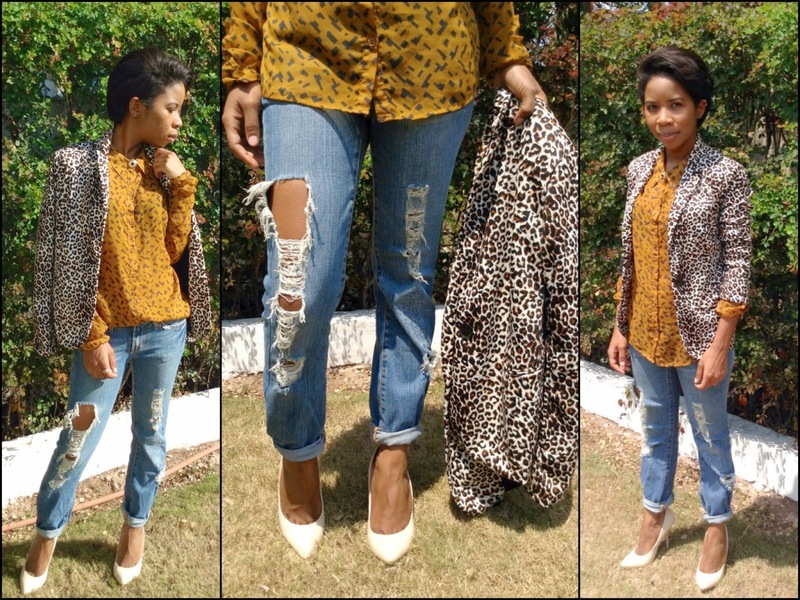 If you've never tried this look before, pair your slouched ripped denims with a loose white tee or relaxed button down top and you cannot go wrong! Personally I prefer wearing mine with heels and would suggest to those especially on the more petite side (like myself) to do the same to give the illusion of longer legs. Don't be afraid to get fancy with it. 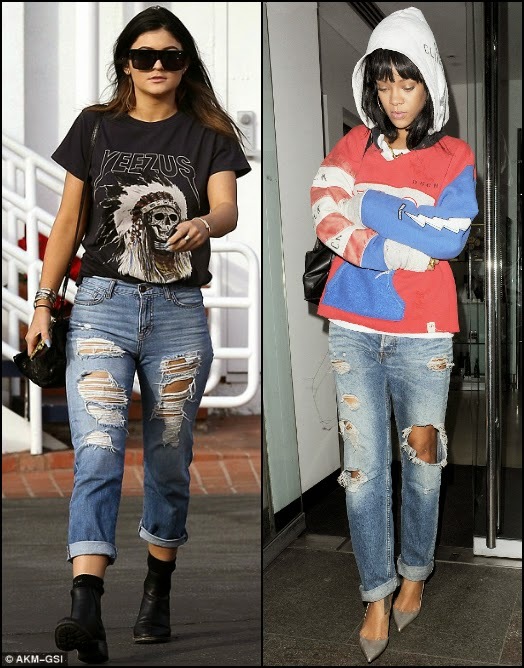 In fact, no matter what your style is, these jeans can be very versatile (see Rihanna 4 different looks above). Whatever you do just MAKE IT YOUR OWN!